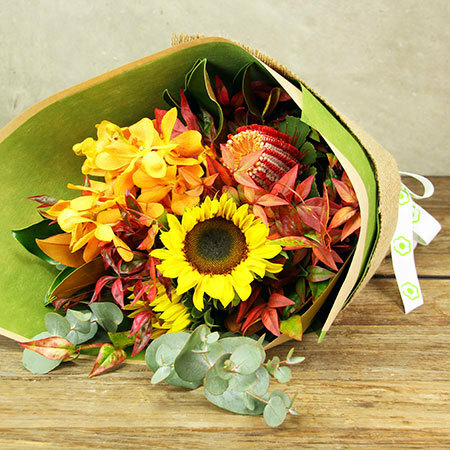 Send a little winter spice this season with our contemporary flower bouquet designed using on-trend fashion colours of paprika, sage and turmeric. 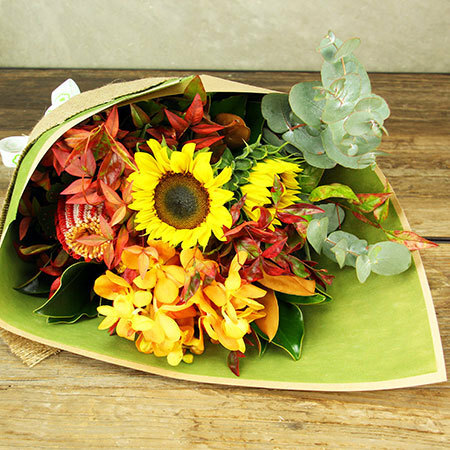 Our florists have created this fresh bouquet of blooms and foliage using cheery sunflowers, sculptural native banksia and Vanda orchids. 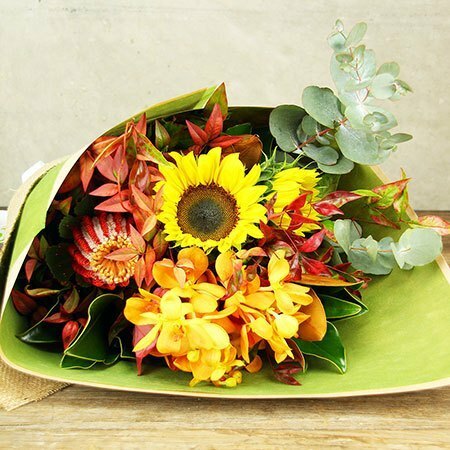 Its wonderful warm tones really capture the essence of winter and would look fabulous in any home, apartment or office. Want to up the wow factor a little more? Select a bottle of wine from our range of quality gift add ons!